As seen on TechCrunch, Google has announced a new smartwatch platform dubbed, Android Wear. The software is for OEM partners to create hardware for people so they can start using wearable devices. Among the first devices to launch using the new software is the LG G and the Moto 360. A key feature of the Android UI extension, include Google’s already familiar Google Now feature which has the always on voice commands. Things you can ask for include requests about flight times, making reservations, sending texts and much more. Google is also focusing on health and fitness apps that can be used to keep up with daily work out routines. As of right now LG and Motorola are Google’s key partners for Android Wear. LG currently has the G watch which will release in the second quarter and Motorola has the Moto 360 which they plan on releasing this summer. Mobile leaker, @evleaks have leaked out Google’s Smartwatch specs on twitter. They call for a 1.65 inch display with a 280×280 resolution. Internally, there is 512MB of RAM and 4GB of storage. The new smartwatch will debut at the company’s I/O developers conference this year. 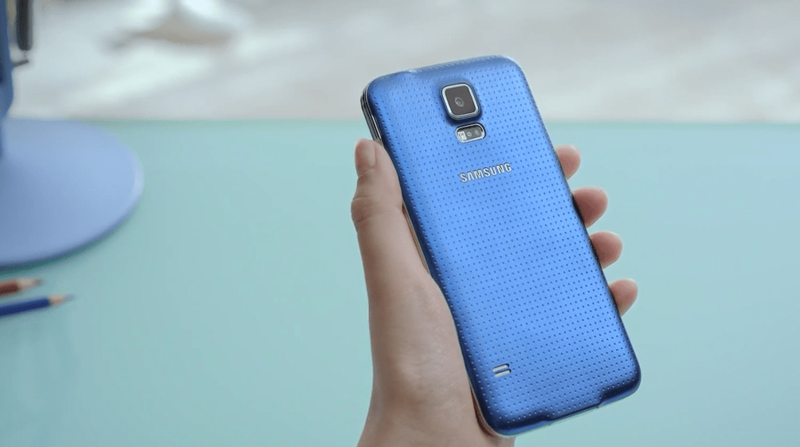 Over the weekend, Samsung has posted two hands-on videos of their new Galaxy S5 and their new wearable devices entitled Gear Fit. We are still a month away from the official launch of Samsung’s new products but they are taking the time to provide us with a more detailed look at the new their new products. So enjoy and leave your thoughts in the comments below. The smartwatch era is having a rather rough start with bulky designs and what I call a very “un-fashionable” look. Samsung’s first Galaxy Gear was a disappointment to me with the huge camera sitting on the strap. Their gear fit was a major step up but nothing to really throw my money at. What I and many other people want is something that doesn’t compromise design for performance. Gábor Balogh’s concept design for a smartwatch probably answers hours prayers. The concept is simple, a round watch with a large screen that has plenty of room for notifications, health applications, music playback and more. Its a very unique and attractive design. Check out more images below.